Based on the movie, that while did not do well in the boxoffice, I rather liked. The game takes place between the events of the two movies. I picked this up as it was on sale, and I heard good things about it. 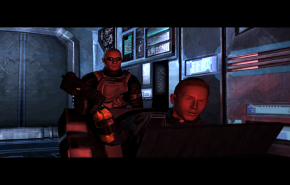 It is rather uncommon for a game based on a movie to be any good. This title turned out to be the rare exception. Playing as the title character "Riddick", you are captured early on in the game and taken to an unescapable prison known as "Butcher Bay". You spend the rest of the game trying to get out. Usually this only ends you up in deeper confinement culminating extreme lockdown where you are sedated and locked in a padded white room. One part of this that was different from the average FPS is that you don't have any weapons for a good chunk of the time. You have to resort to only using your bare fists. The hand to hand combat is actually handled very well. Though I did breath a sigh when I got my guns back. 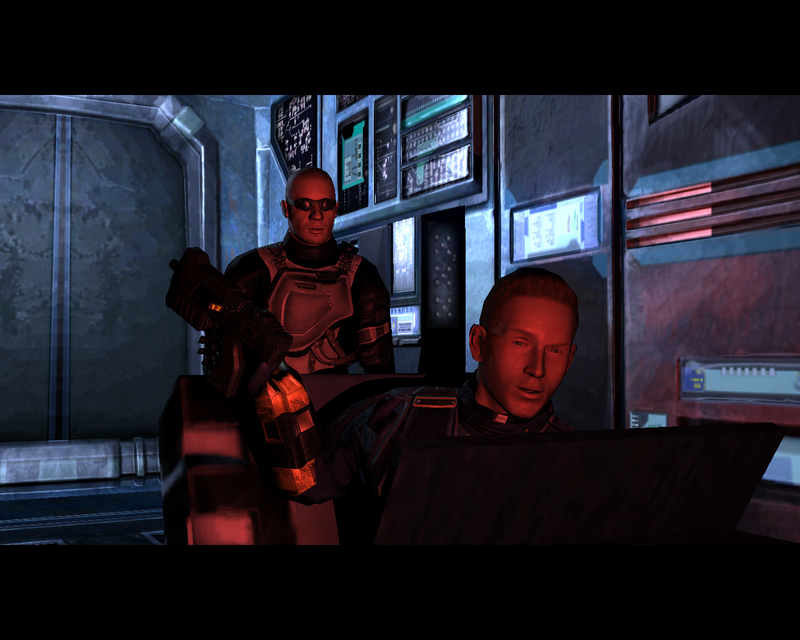 Riddick uses it's own game engine. And a well done engine it is. It pushes the DirectX 9.0 feature set. 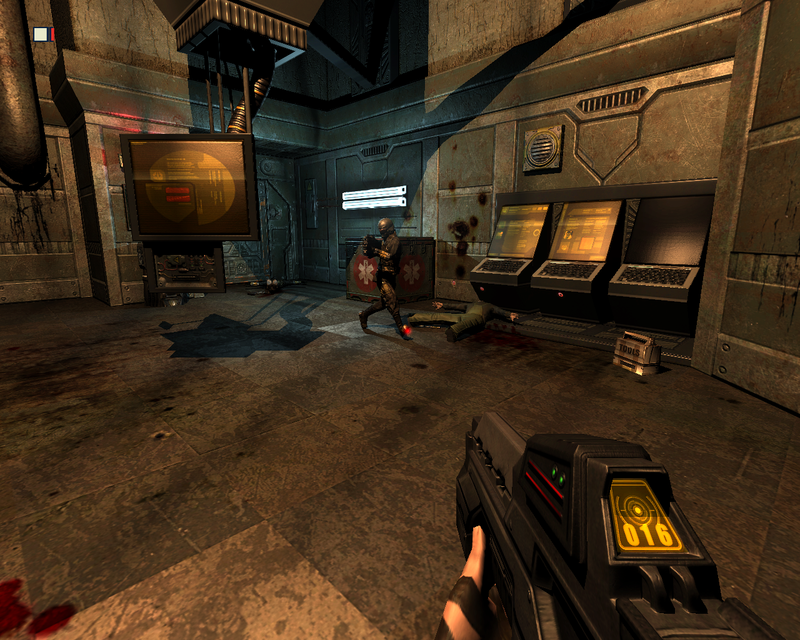 A shadow system similar to Doom 3 is used throughout.